Kabbalah, an esoteric lore whose study was traditionally restricted, played a surprisingly prominent and far-reaching role in eighteenth-century Prague. 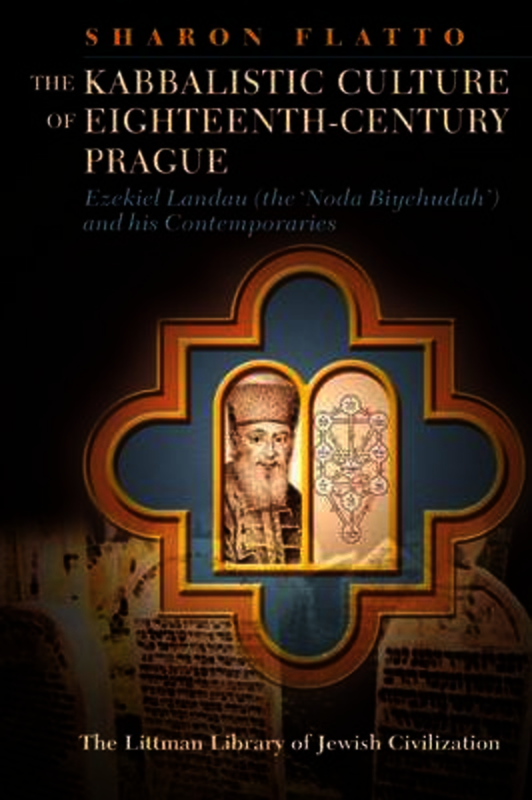 In this book Sharon Flatto uncovers the centrality of this mystical tradition for Prague’s influential Jewish community and its pre-eminent rabbinic authority, Ezekiel Landau, chief rabbi from 1754 to 1793. A towering eighteenth-century rabbinic leader who is best known for his halakhic responsa collection the Noda biyehudah, Landau is generally considered a staunch opponent of esoteric practices and public kabbalistic discourse. Flatto challenges this portrayal, exposing the importance of kabbalah in his work and thought and demonstrating his novel use of teachings from diverse kabbalistic schools. She also identifies the historical events and cultural forces underlying his reluctance to discuss kabbalah publicly, including the rise of the hasidic movement and the acculturation spurred by the 1781 Habsburg Toleranzpatent. In telling this story, the study offers the first systematic overview of the eighteenth-century Jewish community of Prague, and the first critical account of Landau’s life and writings, which continue to shape Jewish law and rabbinic thought to this day. Extensively examining Landau's rabbinic corpus, as well as a variety of archival and published German, Yiddish, and Hebrew sources, it provides a unique glimpse into the spiritual and psychological world of eighteenth-century Prague Jewry. Reconstructing the intellectual world and traditional society in which Landau lived, this study reveals the dominance of rabbinic culture in Prague during this transitional period, the ongoing significance of kabbalistic ideas and practices, and the city’s numerous distinguished figures and institutions. Its analysis of the spiritual trends that animated this culture demonstrates that Prague’s late eighteenth-century rabbinate was more influential, more conservative, and less open to modernization than has been recognized. Debunking the widespread scholarly portrayal of Prague as primarily under the influence of the modernizing West, Flatto shows that this key central European city was shaped more by traditional east European Jewish culture than by Western Enlightenment thought. By unravelling and exploring the many diverse threads that were woven into the fabric of Prague's eighteenth-century Jewish life, the book offers a comprehensive portrayal of rabbinic culture at its height in one of the largest and most important centres of European Jewry.